The young girl looked down and found a small bird that must have fallen out of the tree. Its tiny hairless squawking body quivering as she picked up the injured babe. She looked at it curiously. “Where’s your mommy?” Ariana spoke gently to the baby bird. It only squawked in response. Ariana looked over at her cousin and noticed that he was too occupied with Rachel to really care about her new find. As she left them to each other she stood, bird in palm as she glanced above her and listened. She heard the sound of other babies in a nest above. Without even thinking about it, she jumped straight up into the tree directly near the nest of baby birds. “Here you go, you can go back to your….”Ariana said to the fallen bird in her hand. She gasped in horror as she realized that her fists were clenched and as she slowly released her fingers, the little hairless body lay still. It was no longer as active as it’s brothers and sisters. In her eagerness to rejoin it with its family she must have suffocated it in her leap. Unexplainable emotion gathered inside of her and she began to cry for the dead bird. Her pain and anguish built up over the emotion and she felt something inside her change. She took in one deep breath and closed her eyes, thinking about the little bird that bellowed to her below. As she exhaled, a small vapor flowed out of her mouth and into the bird’s tiny beak. She opened her eyes when she felt the tiny movement in her hand. 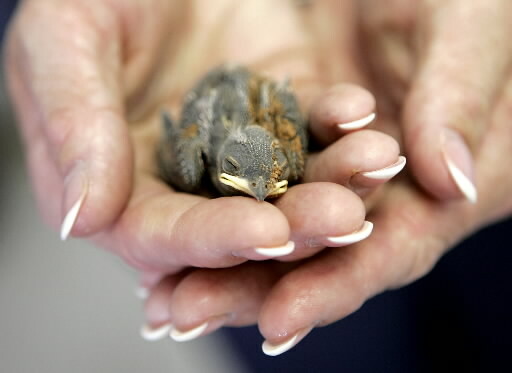 She wasn’t sure how she did it but she had brought the little bird back to life. “There you go.” She said as she placed it back with its siblings.